Spring-design mounting bracket with telescopic leg. 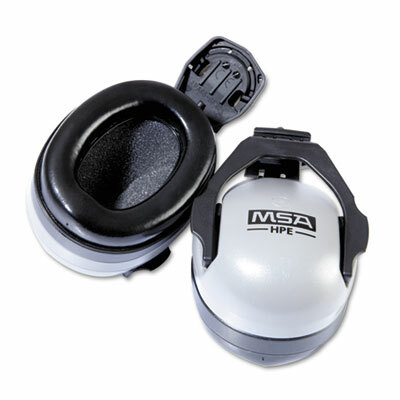 Deep, foam-filled muffs provide excellent noise attenuation and hearing protection. Convenient, two-piece design enables use with most full-brim hardhats. Padded ear pieces enhance wearing comfort. Spring-design mounting bracket with telescopic leg simplifies installation and sizing. Dielectric. Click here to see more Ear Plugs!